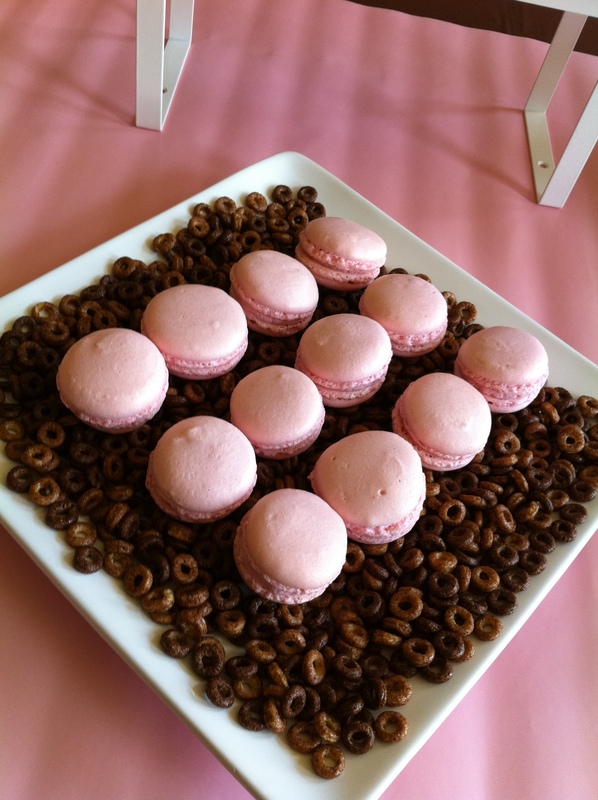 Last weekend I had the most fun planning and decorating a baby shower for dear friends of mine. 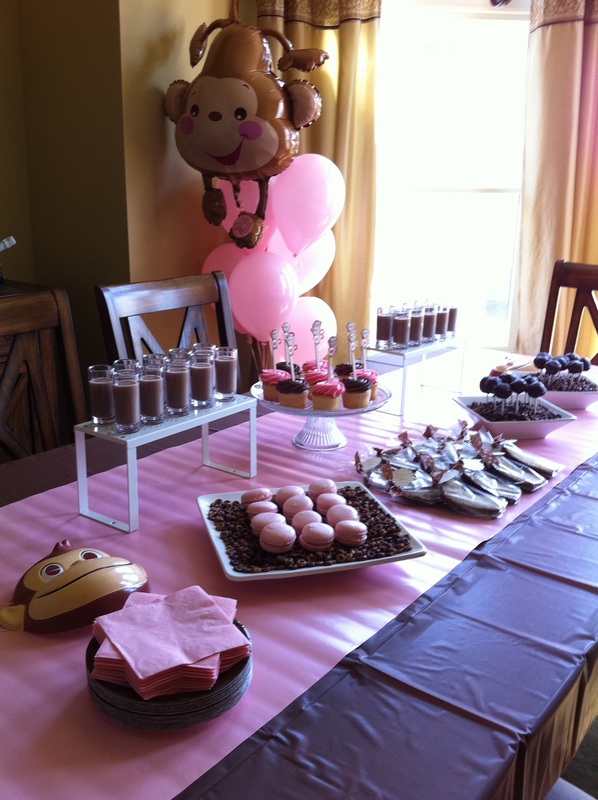 They wanted the MONKEY theme and they are having a girl, so I went with chocolate and pink color coordinated dessert table! I believe a beautiful event has to be a feast both in taste and in sight. 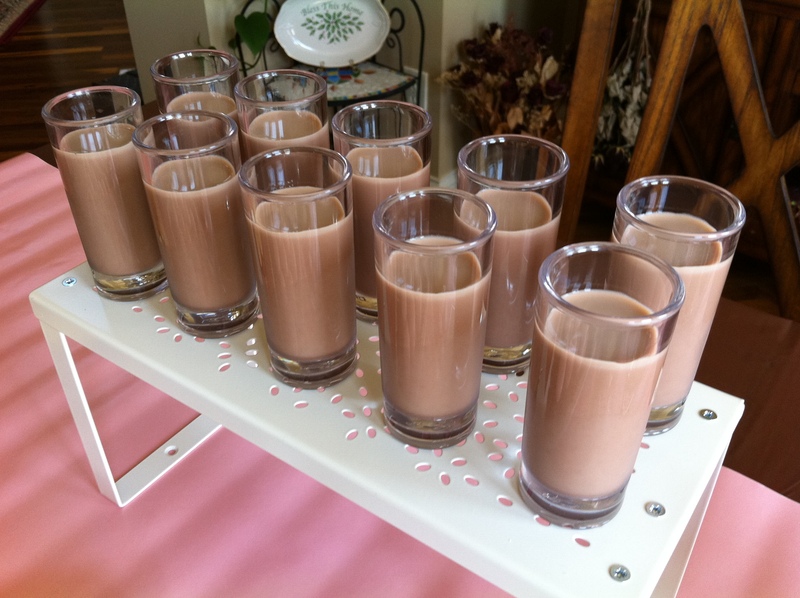 What they had on their dessert table are chocolate milk in shot glasses, pink macaroons (raspberry flavors), chocolate & pink icing on white cupcakes (the monkey decoration on a stick is my own personal DIY design), chocolate cake pops (I was planning to have a chocolate cake with white icing and pink sprinkles, but had to go with plan B – i.e. 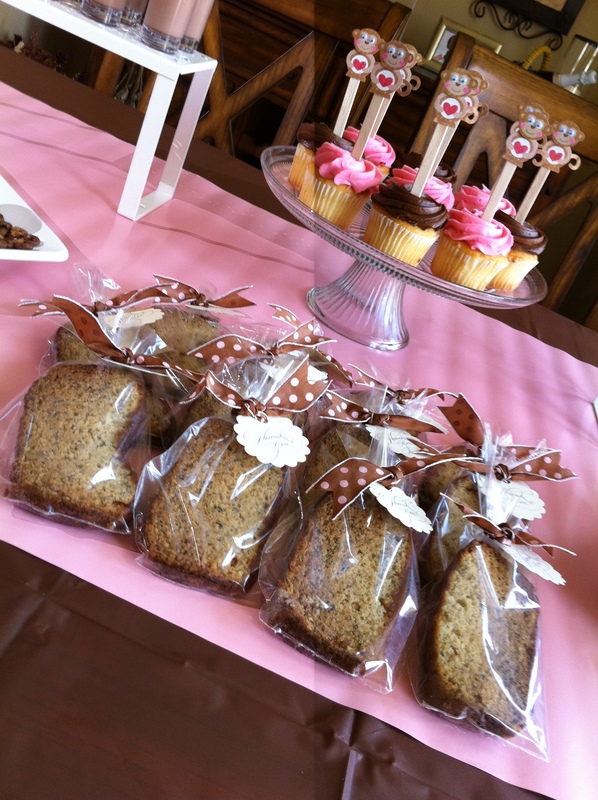 chocolate cake with chocolate icing), and banana bread as favors. I love how everything ties together with the big Monkey balloon that says “It’s a girl” and a few pink latex balloons which later on were given to the children attending the shower. We all had a blast and I can’t wait to meet that cute little baby monkey! 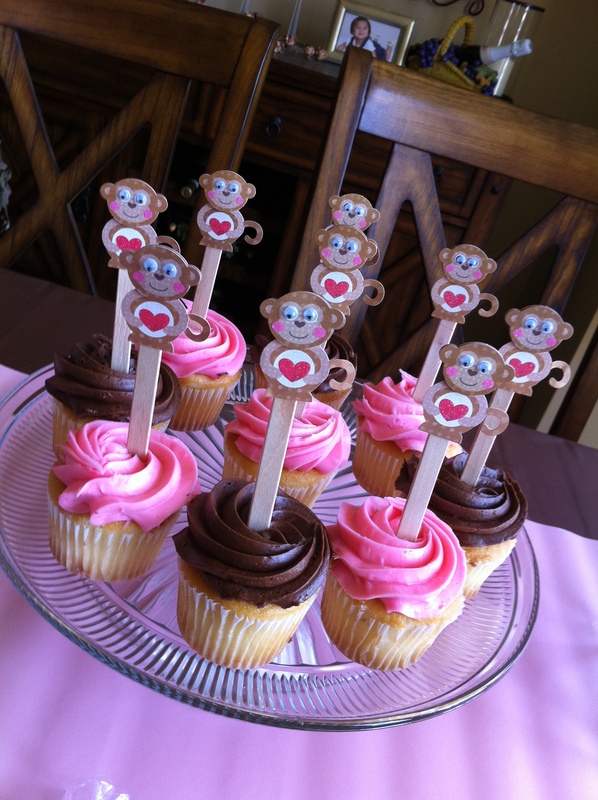 Posted in Baby Showers and tagged baby shower, Monkey baby shower, pink and brown baby shower. Bookmark the permalink. it’s soo nice! love the colour!